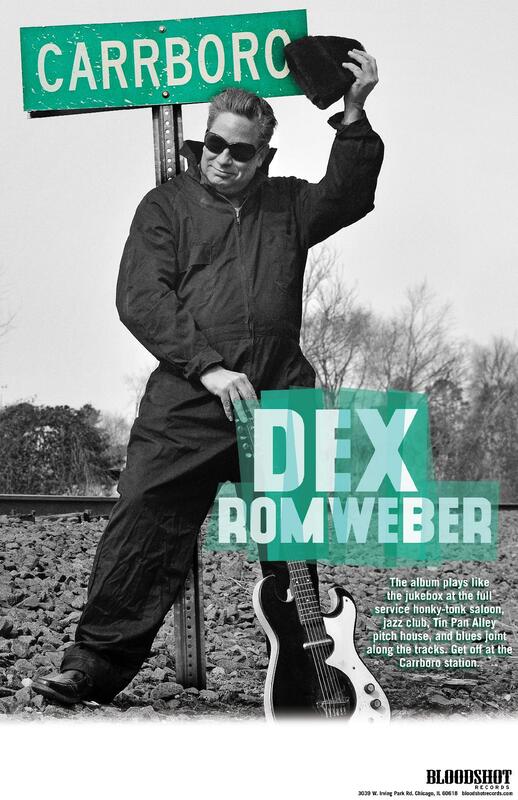 Dex Romweber: For nearly 30 years, the name Dex Romweber has been the password to a cool club. It lets the doorman size you up through the slit in the green door that leads to a world where rock and roll is still real… and real, real gone. Dex's progeny, impacted by his wild and wildly influential work in Flat Duo Jets, his Duo and solo, includes the White Stripes, the Black Keys, the Kills, Man or Astroman? and dozens of other bands that have stripped down, turned up, and cut loose. Songs don’t just come out of Dex, they seem to erupt; there is an unearthly urgency in the singer and the song. There’s no tamping it down, Dex lays it out there every time. But sometimes – in all that mind-blowing sound and energy – the soul often gets overlooked, and Dex is, above all else, a deeply soulful performer.